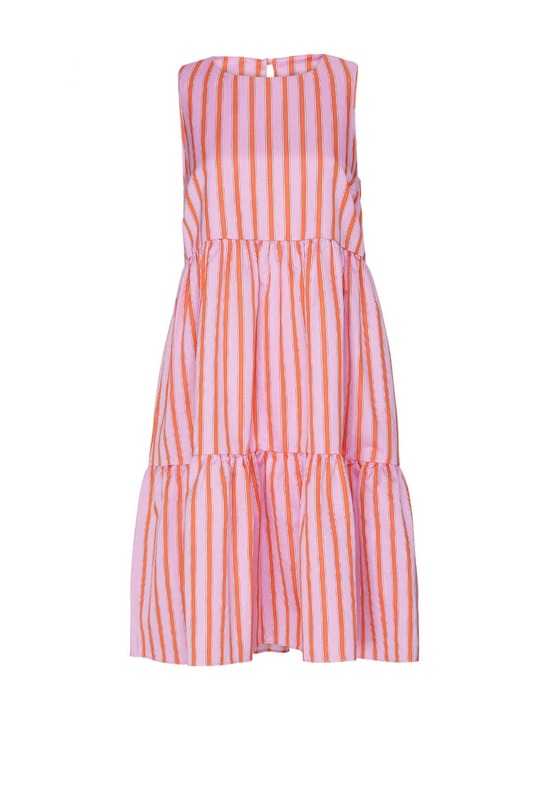 An easy everyday choice, this billowy MDS Stripes dress is universally flattering. 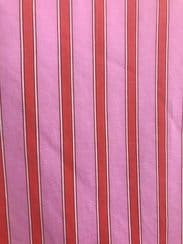 Pink striped linen (54% Linen, 46% Cotton). Shift. Crew neckline. Sleeveless. Key hole back closure. Side pockets. 41.5" from shoulder to hemline. Made in the USA. I am a usual size 8 and was swimming in this dress. I should also mention I'm 5 months pregnant. To make it work I paired with a jean jacket but I suggest sizing down a size or two. 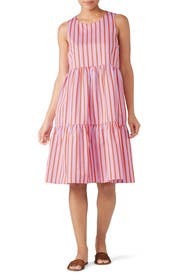 Fun Dress for Flower Field Event! 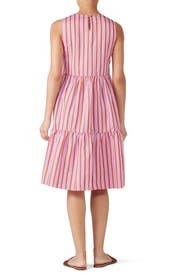 Fun, sweet dress. 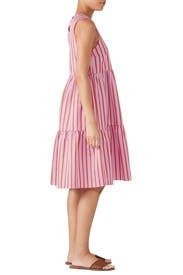 The largest size in this dress is size 10. I'm a size 12 this dress can easily fit a size 14. I knew it would be an oversized style, which I love. Here are the measurements: Chest: 20 inches Hips: 32 inches (lots of fabric, voluminous). Works great for pregnant ladies! Cute fit and works well with a bump! 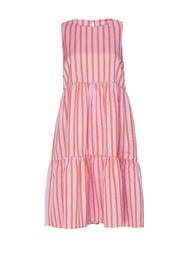 I wore it for an everyday look and summery bbq nights. Always get the most compliments!